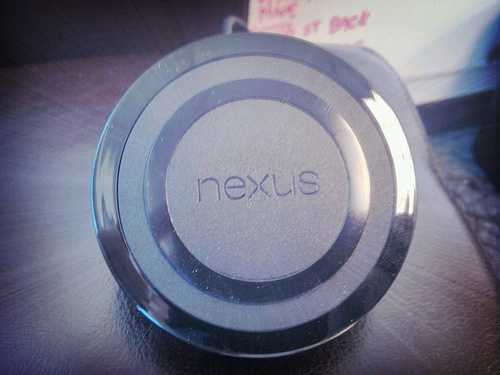 The Nexus 4 supports wireless charging via the Qi standard. But until this week, LG’s official charging orb – a sci-fi worthy trinket that looks like a Palm Touchstone or the better half of the ill-fated Nexus Q – had remained vaporware. No more: for a cool $60 USD, you can win the envy of every techie around you and free your phone from microUSB charging. The orb’s sleek, futuristic design is a proclamation of Google’s (via LG) growing attention to form as much as function. It’s light, smooth, and yet premium-feeling, not unlike an iPhone 5. But make no mistake, this orb is mainly about style. It must be plugged into a power source via the microUSB cable and travel adapter (US/Canada only) while it charges your Nexus 4 or other Qi-compatible phone (just for reference, I was able to charge a Nokia Lumia 920 using this orb, too). For either phone, charging via Qi is not necessarily an upgrade over standard cabled charging: it takes longer (about four hours for the Nexus 4, if it’s totally drained) and requires more hardware, too. Mostly, it just looks cool. But it does have one major perk which I can see improving one’s experience with their phone: its doubling as a dock. The phone can be charged successfully at either horizontal or vertical orientations, but I preferred vertical, which puts the phone at a nice viewing angle for reading, checking email, or other one-handed/-fingered tasks. In this way, the orb became a surprisingly well-integrated part of my workstation, and even when I wasn’t interacting with it, it served as a passive news source, since I had set up Google Currents as the default Daydream (a feature of Android 4.2.x which is akin to a screensaver displayed while your Nexus device charges). The 4.2.2 update also brings a special notification sound reserved only for indicating that wireless charging has begun. This orb is mostly style, but some substance, too. Its usefulness as a dock underscores the benefits of having a larger-screened phone with plenty of real estate for reading or typing. 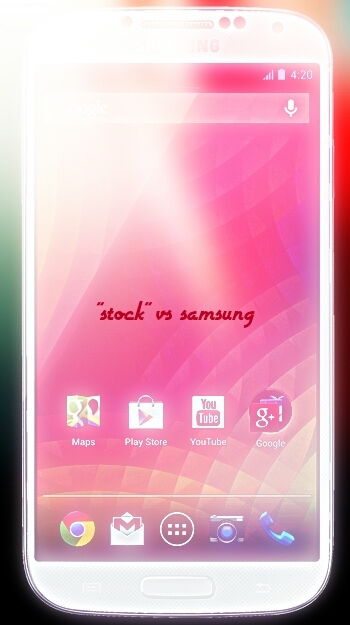 In that sense, it’s reaffirms everything that’s good about the Nexus 4. Highly recommended to completists, geeks, and productivity nuts, but perhaps just a novelty or unnecessary toy for the casual Android fan.